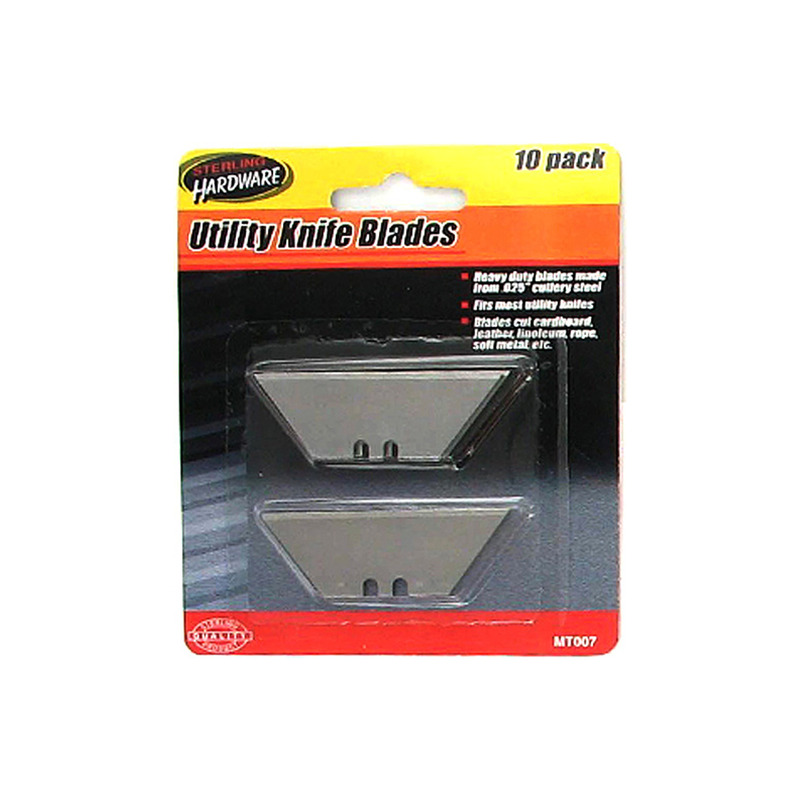 A toolbox essential that is great for a variety of tasks, this 10-piece Utility Knife Blades Set easily cuts cardboard, leather, linoleum, rope, soft metal and more. Each blade is heavy duty and made from .025" cutlery steel. Fits most utility knives. Sharp end measures approximately 2 1/4" long. Comes packaged in a blister pack.